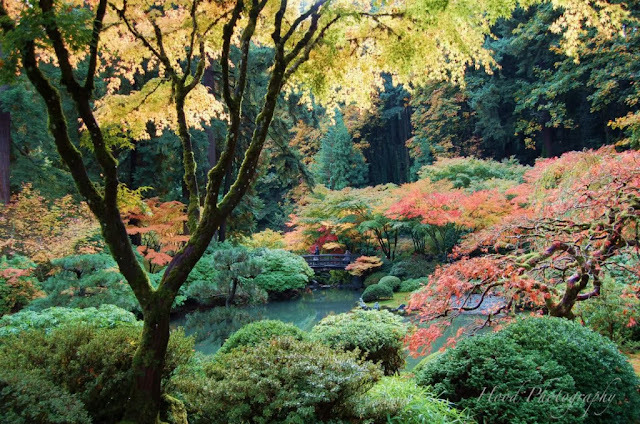 Up in the West Hills of Portland not far from downtown is the Portland Japanese Gardens. On a day like this past Sunday, there are hundreds of visitors. The weather was mild, and the leaves are in the best part of their color change. Oh, I love the Japanese Gardens! It was always one of my favorite places to visit when I lived in Portland1 Particularly in the fall, the colors are just so breathtaking! Terrific capture! Enjoy your week! Beautiful place! So much green. Gorgeous photo! The garden looks lovely and the colors are gorgeous. That Picture is just Perfectly Beautiful. I love it. Gorgeous photo. I had no idea Portland had a Japanese garden. It's lovely, and perfect for P day. This is truly lovely. It looks like a Japanese painting. That's a gorgeous shot; it could be a postcard! Someday, I would like to go to Portland. Seems like a livable city. So beautiful. Was able to visit there years ago. I love the colors in Japanese garden something OUT OF WORLD. Beautiful, no wonder there are hundreds of visitors. I love visits to gardens. Thanks for taking us along on this one. The place looks gorgeous in its Autumn finery. It's so beautiful there - I miss seeing the beauty of that area. Your photo is wonderfully memorable!